It’s always so difficult for me to travel to places that have so much amazing food because I can never decide what to eat! I want to try everything! 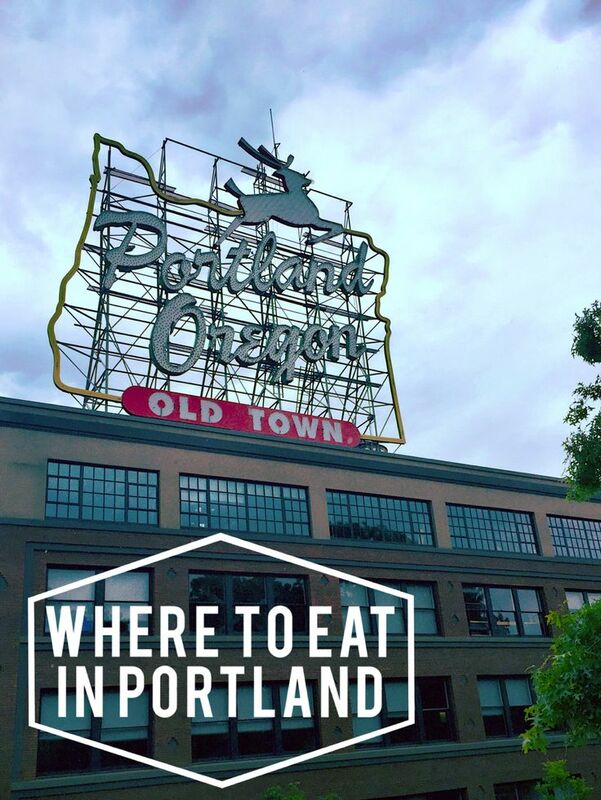 This was especially difficult in Portland so I ended up picking places nearest to me when the hunger hit. The first place I wandered into was Kenny & Zuke’s Delicatessen in Downtown Portland. They specialize in all the best parts of a Jewish Delicatessen – bagels, bialies, and pastrami. I ordered a Pastrami Benedict and was not disappointed! The pastrami was perfect. I love cured meats, and could tell this was a good one. I find that pastrami often tastes too processed for me, but this was the opposite – great rosy color, cut thick, and the perfect amount of salt to balance out the richness of the hollandaise. The Bloody Mary was delicious too – spicy with the right amount of kick, just how I like them. After a day spent exploring Washington Park which holds the International Rose Test Garden and the Japanese Gardens, I wandered onto 21st Street in Northwest Portland, a popular strip of retail. Scattered among the shops were lots of restaurants, and one that stood out to me was Papa Haydn. I had intended to do a progressive meal, beginning with some small plates and ending with dessert at the end of the street, but it turned out I had stumbled upon one of the best dessert places in town – so I had my meal backwards. The dessert case catches your eye as soon as you enter, and their menu of confections spreads across two pages. I chose the Boccone Dolce – “French meringues drizzled with semi-sweet chocolate, layered with whipped cream and seasonal fruit.” It came out much larger than I expected and I was worried it would be heavy, but it was delightfully light and the meringues were still crispy under the fresh whipped cream. I also enjoyed a cheese plate that had four different selections of cheese, rhubarb compote, spiced flatbread, candied walnuts, and a fresh shaved fennel salad. 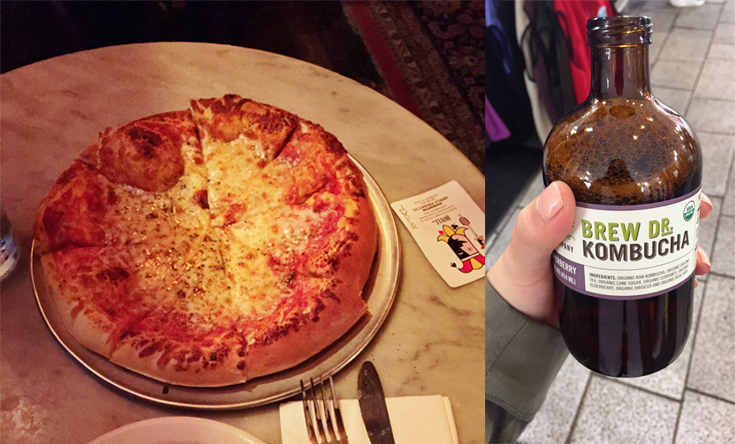 I also tried pizza at Old Town Pizza’s Downtown Taproom. There are claims that it is haunted, and the dim, dusty vibe of the restaurant definitely plays into that. (Check out the ghost story here!) The pizza was great and I recommend a visit if you’re into spooky good food. Signs for Brew Dr. Kombucha are a popular sight in restaurant windows around the city. I’ve been buying this brand from my local Whole Foods in Denver and didn’t realize it was from Portland. I definitely recommend giving it a try if you’re a kombucha lover or new to the stuff. I picked up this bottle of Superberry at the Portland Saturday Market (my favorite flavor is the White Rose).